Can I see who viewed my projects? If you've ever wondered who specifically viewed your project, with this setting you can find out. 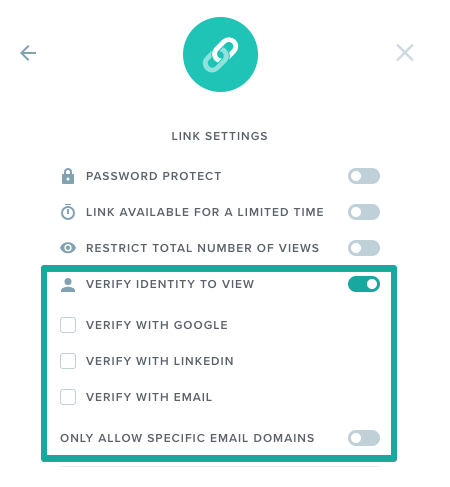 You'll be able to add Verification to any project and your clients will need to verify themselves via email, Google, or LinkedIn before they can view. Note: This feature is only available to our Enterprise customers. 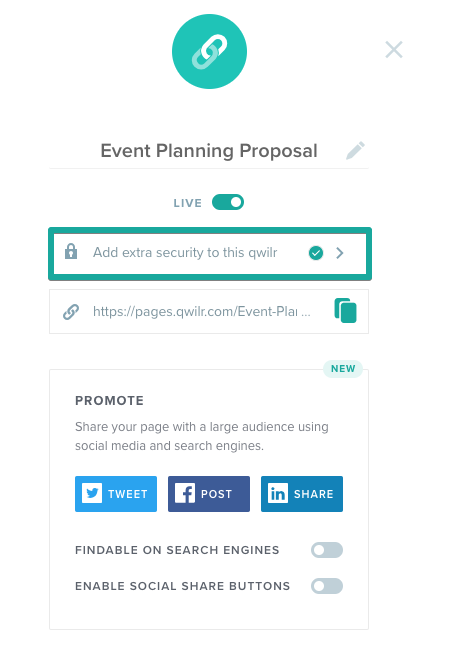 To enable this setting click on the Share button from either the Dashboard or when editing your Qwilr Page. 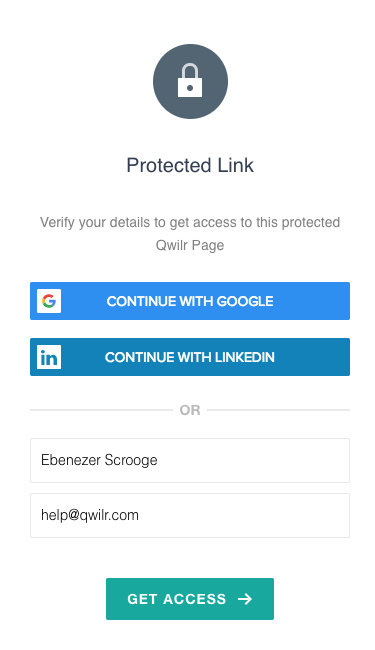 From there click on the option to Add extra security to this Qwilr. From there select the methods you want to allow your clients to verify with. You can select one or all three. We recommend always choosing email as an option. Only the options you've chosen will display on this page. If they choose to authenticate with Google or LinkedIn a box will pop up asking them to log in. If they choose to authenticate with email they'll be sent a link to view your proposal to the address they've chosen. 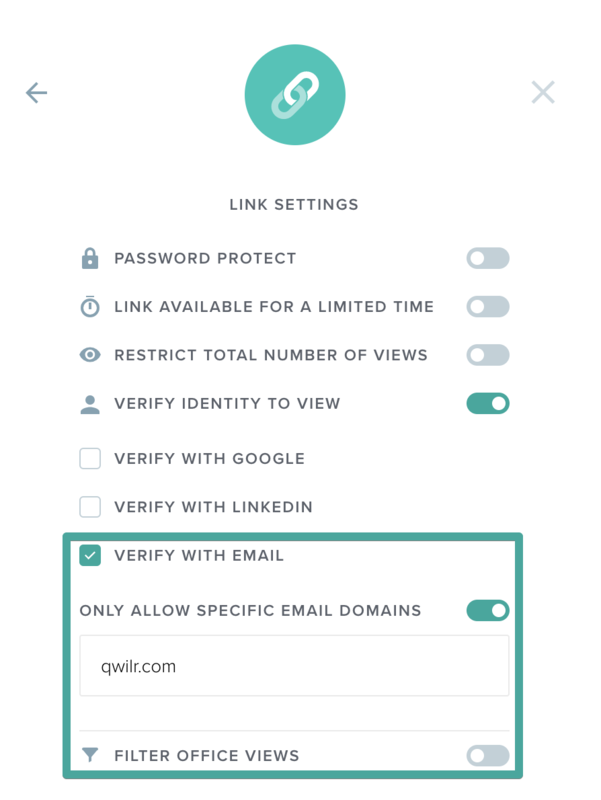 If you want to restrict verification to just viewers with a certain email domain enable the Verify with email option and the option to Only allow specific email domains and then list the domains underneath. You don't need the @ symbol and if you have more than one separate them with a comma.